Welcome to FileMaker Pro Gurus! We're passionate about FileMaker Pro! Help you become a successful FileMaker developer and/or superuser. We sift through thousands of articles on the web and filter out only the best and most relevant - saving you time and energy in finding what you need to do your job. We've put our search engine on steroids so you can easily find all pertinent articles easily. Unlike most other sites, our search engine searches categories, tags, and the content of the article. Are you looking for the latest industry news? Or the latest FileMaker techniques? Or maybe that old article you found once before and can't find now? Or maybe it's great instructional videos - without having to watch them all to find the good ones? How about some pointers from great developers, or the latest from FileMaker Devcon? You can find it all here, along with articles and info from the most important FileMaker Pro vendors, including interviews from Devcon 2015. Looking for some good developers? We know a lot of them and keep meeting more. Drop us a line and we'll help you out. Want to help by Blogging? We're looking for a few good bloggers. Scratch that - we're looking for a LOT of good bloggers. 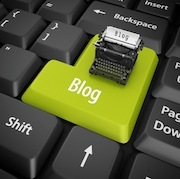 We want FileMaker Bloggers, Business Bloggers, and Business Coach Bloggers. Scratch that blogging itch you've had for so long. And get your name out there in the blogosphere and the FileMaker Community. If you blog already, you can post your articles here and link back to your original website - increasing your SEO and traffic to your website.